As Co-Developer/Co-Owner, Dantes Partners, working in partnership with Stanton Development and EastBanc, Inc. structured, identified, and closed the construction financing for the development which included equity from the sale of 4% LIHTC, tax-exempt bonds and a sponsor loan. The development is one phase of the Hine School redevelopment. 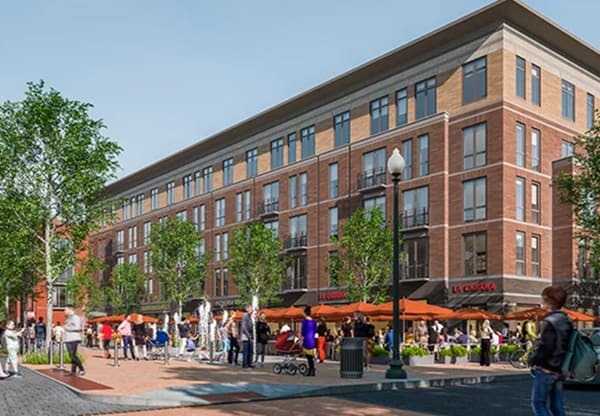 The redevelopment rights were awarded to the development team via a competitive disposition process through the District of Columbia’s Office of the Deputy Mayor for Planning and Economic Development. The intergenerational community provides affordable housing opportunities in the high-cost Capitol Hill neighborhood and is located directly across from the historic Eastern Market and 1 block from Eastern Market Metro Station. The development features a mix of studios, 1 bedroom and 2 bedroom units and includes a resident lounge and fitness room.